Here are some ways we at Steppingstones can help you with your human resources management and development. Performance measurement – we can help you develop performance appraisal systems that will develop and encourage the best performance from your staff. Competency profiles – we have been involved in assessing and defining the knowledge, skills and competencies required to be successful in a number of professions. Our CompeTrax Competency Management Software helps organizations manage, track and report on continuing competence. Employee morale studies – satisfied employees are more likely to be productive employees and less likely to leave. We have ways of measuring employee attitudes and satisfaction, and can make recommendations to improve employee morale. Health and safety programs – our work has been on research projects designed to identify causes of accidents and lost time, and finding ways to improve safety attitudes and behaviours. If you are having an unacceptable accident rate, perhaps we can help. Training needs assessments – we can help you assess the training needs of your entire organization, specific units or specific occupations and functions. 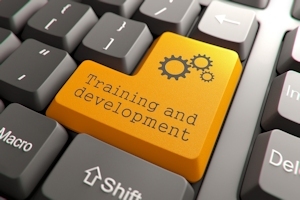 Our training assessments usually provide information on appropriate content and delivery formats. Training evaluations and follow-up – we conduct evaluations of courses, workshops and other training activities to let you know whether the training is having the desired results, and whether you are getting a satisfactory return on your training investment. Technology-based training – we have the experience and tools to create and produce online e-Learning modules and courses. We also develop and host online tests, quizzes, learning games and apps. If you want more information on any of the above, or would like a proposal or a quote, please contact us.